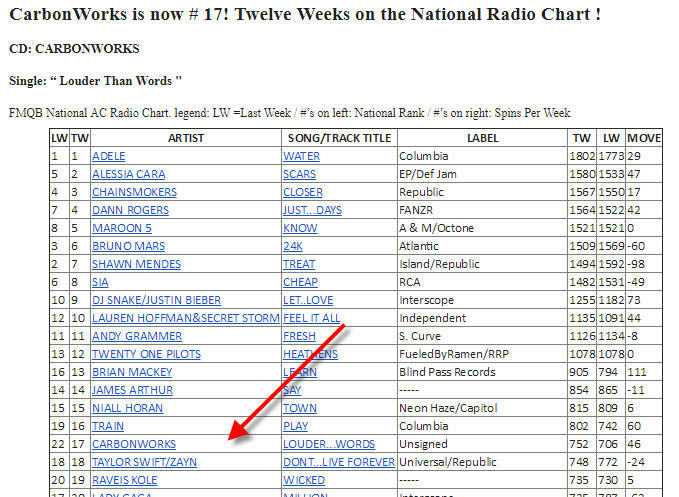 Here’s a fun thing: CarbonWorks’ song, “Louder than Words” is now on the U.S. radio Top 40 list (actually #17 now). I’m hoping it will lead people to the video, which is all about kindness and compassion. You were the first to release this! To give you a little back story, I first had the pleasure of hearing Neal’s music when in Washington D.C. last Fall. There, I had the excitement and honor of launching what has become The Mindful Vegan book tour with an evening presentation I was invited to deliver at the headquarters for the Physician’s Committee for Responsible Medicine. The next day, the good Doctor Barnard and I were to present at an event in nearby Maryland. He offered to drive me to the venue, which I parlayed into an impromptu facebook LIVE event, (see Neal Barnard was my Uber Driver ). I was of course thrilled when he played along with my bold idea – and it ended up giving us all a glimpse behind the rock star doctor into the rock star musician. 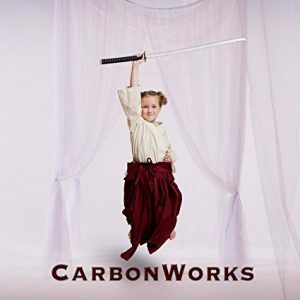 This was before the Carbonworks CD with Louder Than Words as one of the tracks on the CD had been released – and before completion of the music video which you see at the top of this page. Louder Than Words is such a perfect name for this compelling video. The entire issue are our culturally-perpetuated practice of treating animals as commodities and objects for our use is more often than not more powerfully conveyed via images and music than through facts and figures. In contrast to other videos with incessant visual images of animal suffering at human hands, the Louder Than Words music video is predominantly filled with images that remind us of the sentience of all of the animals of the earth. I’ll sign off with the screen shot Neal included in his initial email with the ranking of Louder Than Words displayed on the National Radio Chart. (I added the arrow for emphasis). Please enjoy and share the video! P.S. I sent Dr. Barnard a link to this blog upon publication. He responded right away, and guess what he said? Thank you!!! And to my surprise, this week we are at number 15, right between Miley Cyrus and Lady Gaga! Another great piece of work, thanks Dr. Barnard and Lani for sharing! I so appreciate you stopping in to make a comment. Much appreciated! Sharon, thank you for coming by and leaving a note! I think we can never tell Dr. Barnard enough all the ways we appreciate him! Lani, this is so great to see and I love that you posted the video AND the music for us! Thank you Dr. Barnard, and to Lani for sharing! Thank you so much for this beautiful precious video and lovely song. All animals deserve a wonderful life and joy! Linda, what a lovely note. I appreciate you taking the time to stop in and share! Beautiful video and beautiful music. Inspiring and beautiful! I hope many people get to see this and are changed as a result. Wonderful song and video. It lifts my heart, but makes me cry at the same time. Jan, so well said, it is very moving and strikes deep into the emotions. Emotional connection, I am convinced, is the essential element to inspire people to change. May this music video reach many more hearts today! Thank you for sharing your thoughts. Beautiful music video with a message louder than words! Thanks for sharing! Ed, so glad you are enjoying and that you stopped in to tell me! Wow! An amazing song and video. The contrast between the joy of animals free to be themselves and the pain of those whom we ‘human’ beings exploit is heartbreaking. Thank you to both Dr Neal Barnard and Lani for all that you do to further the cause of animal well-being. This is a blog post to cherish. Hi Manuela, so well said! I am thrilled that you are enjoying this, and am so grateful to you for sharing your thoughts, it means a lot to me. The multi-talented Dr. B has been at the top of the charts rocking the nutritional world for years, so it only makes sense that he rocks the music world, too! 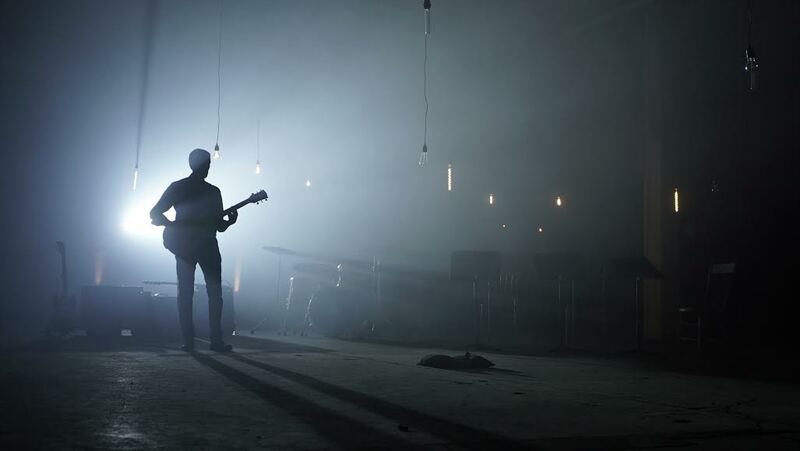 Doctor, composer, guitarist, keyboards…. what CAN’T he do? Beth, that is a good question – he always inspires by leading the way, even in directions we least suspect. Thank you so much for sharing your thoughts! Wow! Just absolutely beautiful – the visuals, the lyrics, the music. Thanks for sharing. Gave me chills. Nancy, it has the same effect on me! Every time. Thanks for sharing, Lani. Such a heartwarming video and song. Love the lyrics, and the imagery of those animals…so loving and touching. The tears running down the cheek of that cow broke my heart. I hope she was one that was rescued and able to rump in the sanctuary. I wished my eyes had been opened much earlier (that we didn’t actually NEED to eat animals to be healthy), but they’re wide open now. WE WILL NOT BE SILENCED!!!! Judi, THANK you – yes, we must be the voices for the voiceless! I appreciate your comments and that you stopped by to share. So beautifully done, Dr. Barnard. I’ve been a fan of your written work and videos for many years. Now I’m a fan of your music as well. Thank you. Special thanks to you, Lani, for making it available to us. This video never fails to make me bawl, it says it all! This Carbonworks apparently brings on the Waterworks! And Neal Barnard was a rockstar to me before I was aware of his music, but even more so now! Thanks for sharing Lani, you are another rockstar in this mission to educate and inform people how to save lives…all of them! Hugs! It brings tears for me everytime, too! Love your message and that you stopped by to share.